Who is Responsible for Secure Software Development? 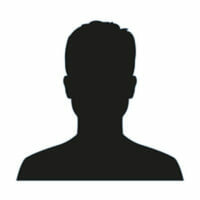 Home » News » Who is Responsible for Secure Software Development? An interesting dialogue came up in my security circles that I believe outlines a fundamental disconnect within organizations developing software products. We have all heard that communication is key, but are the conversations happening at the proper levels to expose a product’s security requirements? However, I believe that, while developers are planning for secure software development, they aren’t putting it in front of senior leadership clearly enough to say, “we shouldn’t do this without addressing these security measures,” and get their attention. I think there are three things we can do to alleviate this disconnect. 1. The conversation with executives has to be comprehensive. There is a myriad of conversation around protecting internal assets and data; however, if a company is a product manufacturer, the conversation with your executives needs to include a plan for secure product development and what the implications of vulnerability in your product will mean for mitigation, brand and revenue. Development teams are responsible for raising the visibility of threats in product development. With revenue impacts being impacted anywhere from 22-38 percent (Ponemon Institute, Reputation Impact of a Data Breach [PDF]), it is a highly motivating business case to spend the extra time in securing the product. 2. Implement or enhance your organization’s use of the Secure Software Development LifeCycle (SSDLC). This framework can help incorporate security into each step of your development cycles, ensuring that requirements, design, coding, testing and deployment have security considerations represented and actioned. Further, it can improve communication by providing a standardized language and terms for all of your business stakeholders. 3. Increase security posture with employees and vendors. Through training and communication (bi-directionally across the organization) with employees, from tacticians to leadership, any company can begin to change the culture to be inclusive of security. It is imperative that everyone be security minded each day. Enacting or enforcing governance with third party vendors, especially if they do development work on your product, will help show your company commitment to being accountable to your data. An external consideration is that the industry needs to decrease its acceptance of “first to market” to the detriment of security mentality. Until consumers commit to requiring a minimal amount of security in new products, this will be a perpetual cycle of vulnerability due to minimized investment in secure development. As consumers, security professionals, and developers, we will continue to struggle with the perpetual tension between security and cost. I posit the market needs to define and leverage a “grading system” for product security (as mentioned in my post “Competition For a Place in the Internet of Things”). Communication is paramount and the whole of a company is responsible for it; leadership and individual contributors need to drive and influence the context for your specific business needs. Having a conversation from top to bottom about a company’s willingness to invest in secure development principles will guide every employee to the security minded framework. While the upfront cost may seem large, research shows that the cost of fixing security flaws and bugs once a product has shipped is a magnitude higher than if done early in development.